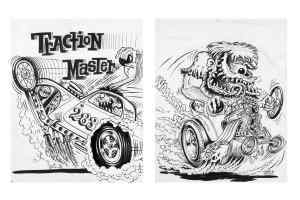 Gearheads have few greater icons than customizer Ed “Big Daddy” Roth, pinstriper Von Dutch, and painter Robert Williams. This Saturday, December 8, fans of Kustom Kulture and the golden age of hot rodding will have a chance to bid on memorabilia and artworks from the masters. The auction will take place at the Petersen Museum, home to one of the world’s premier automotive collections. Robert E. Petersen, the museum’s founder and namesake, also founded Hot Rod magazine and the subsequent Petersen publishing empire. Few people did more to spread the gospel of Southern California car culture than Petersen. 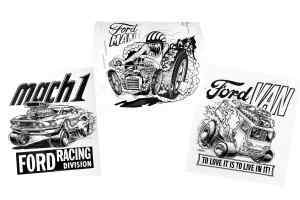 Works from Roth on offer include the original art that became the t-shirts and decals sold in magazines from the 1960s on. 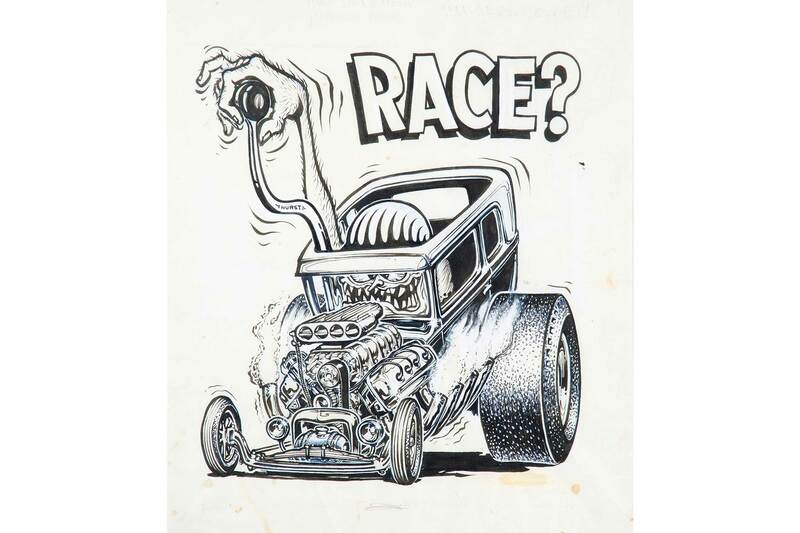 Images such as “Wanna Race?” (1969), “Eatin’ Surf” (1964), and “Rat Fink” (1963) will hit cross the block, with estimates ranging from $2,000 – $9,500. Roth is also known as one of the world’s premier car customizers. 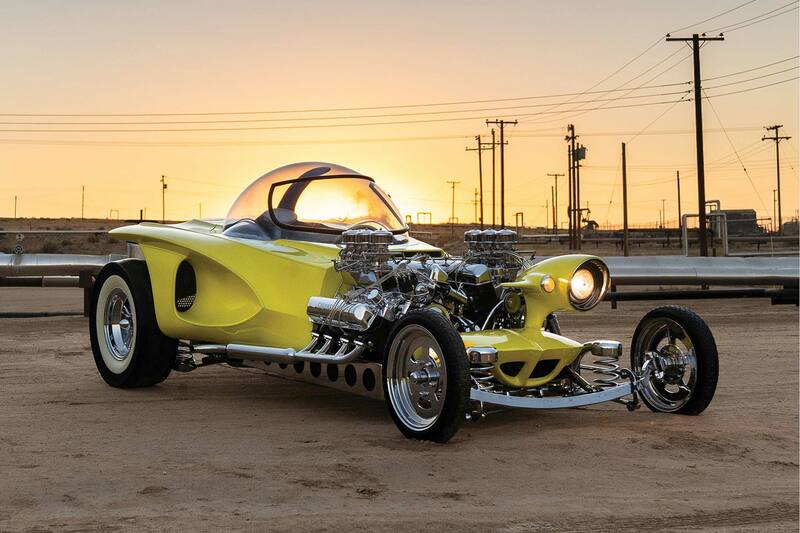 A recreation of his twin-engined “Mysterion” (1962) will also hit the block, and has a pre-auction estimate of $100,000 – $150,000 and is offered without reserve. Roth passed away in 2001. 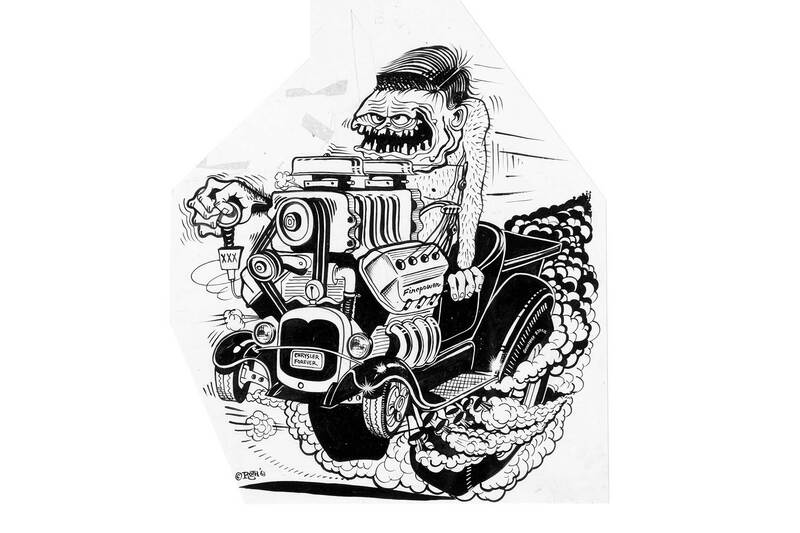 Von Dutch, born Kenneth Howard, started pinstriping at Barris Kustoms in the 1950s. 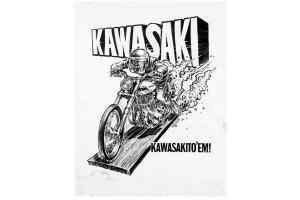 His work was a modern interpretation of the traditional style and he quickly became an icon. In addition to automotive work, he was also a gunsmith, knife maker, and fine artist. His painting “Goodbye Cruel World” (1965) has a pre-auction estimate of $80,000 – $100,000; a custom brass knuckle bowie knife (1976) $2,500 – $3,500; and the pen and ink work “Truck Driver Lessons” (1991) $1,000 – $1,500. The Peterson auction also has one the painting by famed Lowbrow artist Robert Williams: “The Cynics” (1963), with an estimate of $18,000 – $25,000. 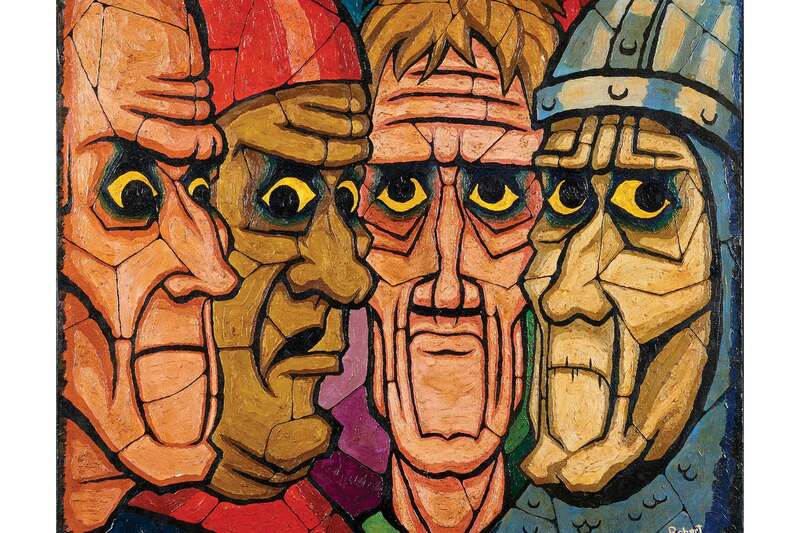 Williams is one of the founders of the Lowbrow art movement and has taken credit for the name. 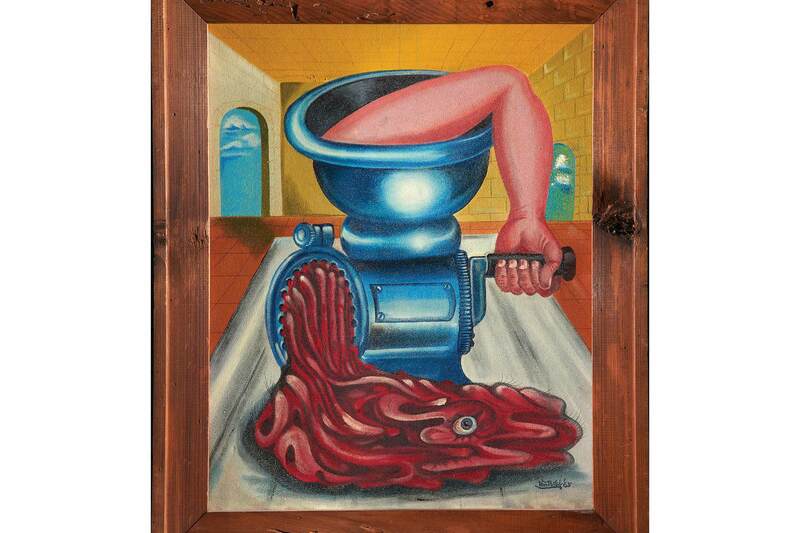 A 1979 collection of his work was published under the title, “The Lowbrow Art of Robt. Williams,” almost an antonym to the view that art is an intellectual pursuit, or “highbrow.” Williams described the style as “cartoon-tainted abstract surrealism,” and it is usually associated with hot rodding, pulp fiction, punk rock, and underground aesthetics. Two of Williams’ most famous works are “Hot Rod Race” (1976) and “Appetite for Destruction” (1978), which became the soon-censored cover art for the Guns N’ Roses album of the same name. 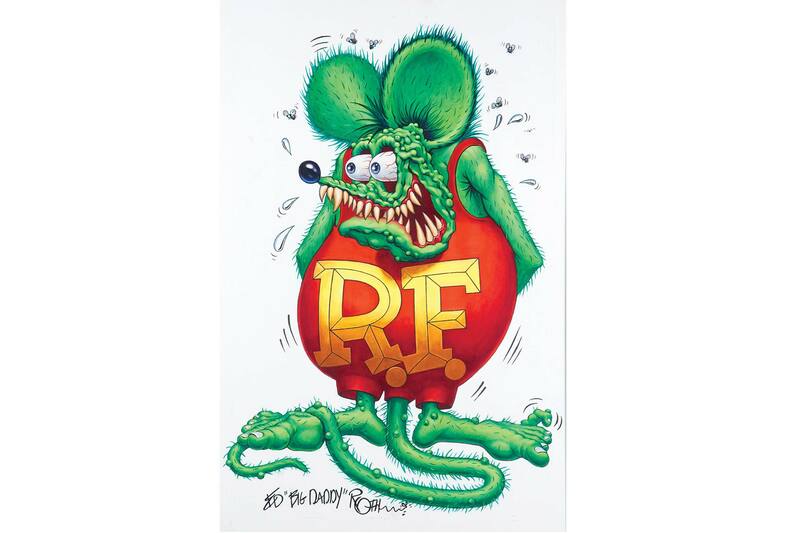 After pursuing a career as a fine artist, Williams became the art director for Roth Studios (of Ed “Big Daddy” Roth fame) in the mid-1960s before moving into the world of underground comix. 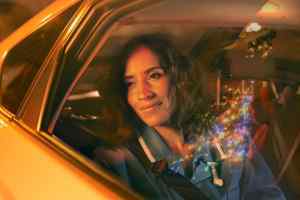 Just as muscle cars turned from staples of the high school parking lot into priceless investments hoarded by wealthy collectors, Kustom Kulture appears to be on the verge of being packaged into a lucrative portfolio item for speculators. Given their origins and work, the three Kustom Kulture artists might find it absurd that their works are being offered by the very respectable RM Sotheby’s, the auction arm of the multinational Sotheby’s corporation, known for luxury real estate, jewelry, and fine art. Other items on offer at the Petersen Museum auction are a 1964 Shelby 289 Cobra (est. $850,000 – $950,000); a 2015 Porsche 918 “Weissach” Spider (est. $1,500,000 – $1,700,000); and a 1956 Ferrari 290 MM (est. $22,000,000 – $26,000,000). Full details and lot listings can be found on the RM Sotheby’s auction site.